Ribbed at cuffs and hem, high-neck and zip front thermal cardigans comes in a variety of colors. And this Soft sweater jacket keeps you warm and comfort in Autumn and Winter. 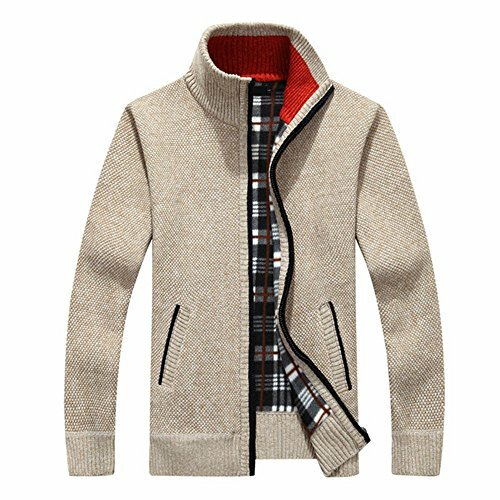 Comfortable with full-zip front closure featuring ribbed standing collar; A great casual sweater, perfect for every day wear. The perfect birthday or Christmas gift for your families or friend. If you have any questions about this product by tueselesoleil, contact us by completing and submitting the form below. If you are looking for a specif part number, please include it with your message.